In an article written in July after the release of the initial raw headline results from the 2011 Census, I noted how the highest population increases in the country appeared to take place in the boroughs possessing the largest Muslim populations, and today’s release of census results relating to religion appear to confirm this supposition. 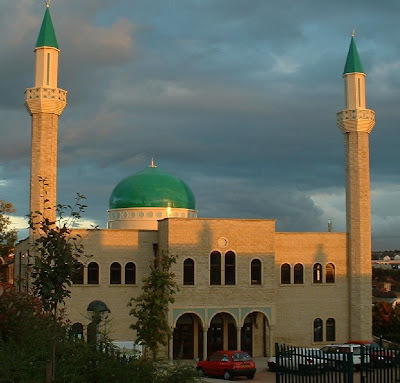 In July I observed that Tower Hamlets and Newham were recorded as displaying the greatest rate of population increase between 2001 and 2011, and today’s results state that Tower Hamlets has the highest share of Muslims in the country, and Newham the second, with the percentages standing at respectively 34.5% and 32.0%. In Yorkshire, Bradford had experienced the fastest population growth, and once again I had attributed this to its growing Muslim population. This latter supposition also seems to be borne out by the statistics, for whereas the city’s Muslim population was recorded at 16.08% in 2001, the 2011 census reveals this percentage to have increased to 24.7%, making it the borough with the fourth largest share of Muslims in the country. Blackburn and Darwen, with 27.0%, stood in third place. Luton, the birthplace of the EDL, possessed the fifth highest concentration of Muslims at 24.6%. Across England and Wales as a whole, the number of Muslims increased rapidly during this 10-year period to a total of 2.7 million, its proportion of the population exploding from 3.0 to 4.8%. The Muslim share of Bradford's population has risen by 53.6% in just ten years. Demographic Islamisation is thus a reality in England today, and the greater the number that profess that faith, the louder will be the calls for it to be protected and for the admission of co-religionists from overseas. Overall, what with London now being not only a minority English but also a minority British city, the census results make for grim reading. Bradford Today, Bradford on Avon Tomorrow? Apparently Europeans & that includes the English, decided to stop having babies. A Birth Rate of 1.3 cannot sustain a culture. Only immigration can keep the economy going. All Europe chose 'immigration' over 'babies'. Bye, bye Europe and it's Judaeo-Christian Heritage. Why did you stop having babies? Something to think about. A retired Catholic priest in Canada. They stopped having babies for various reasons: working moms; feminism; modern families; and also, governments making it too difficult for moms to either stay at home to raise their kids - or costs of childcare being prohibitive. Our Western governments have a lot to answer for. Mass immigration of foreign cultures and religions WILL destroy our countries. This includes the USA. Sybarite, it would have helped if the Catholic clergy were permitted to marry and have children. Those on the other side of the schism of 1054 have permitted their priests to do so, with the consequence that they are not having such a recruitment problem as the Catholic Church, which in places such as Ireland and France is importing priests from Africa and the Philippines. However, I do note your general observation with respect to falling European birth-rates, and this has been driven by a combination of factors: the state-promoted idea - via the education system and mass media - that to work for a wage is higher status than rearing children, with 'non-working' mothers being looked down upon; the relative decline in men's wages and increase in housing costs that means that both men and women have to work to cover basic living costs; the rise of consumerism and the promotion of consumption as preferable to 'investing' in a family; the unaffordability of family homes caused by overpopulation and the property bubble arising from a globalised and deregulated capital market. There are a complex range of factors at work here, not simply some 'choice' on the part of many European women not to have children. Lime Lite makes some good points on this score. Immigration is good. As pointed by the author of this biased article, london is a minority British city and it is experiencing ths highest growth rate in the UK while the other "pure" british cities are all still in recession .... according to your simple inductions we should conclude that immigration is very good for the UK... all cities should be like london. "Why did you stop having babies?" because the Frankfurt school and the feminazis, promoted feminism. This pushed most of our women out to work in the last four decades, under the guise of equality and liberation. They're now too tired to work and bring up children and the dual household wage has pushed up house prices so much, that without both parthers working, it is almost impossible to afford to buy a home. So, we now have work and high priced home ownership, but no babies because they cost too much. The thing is, the young are so brainwashed by the media and education system that they can't see it and the old are too tired to fight anymore - they go and retire somewhere like you have, to get away from it. Some good points RH. Many women have found that rather constituting 'liberation', entry to the workplace has served to ensure that paid work becomes a necessity for both members of a couple rather than just one. In what respect does that constitute progress? Moreover, the search for work has led to many families becoming far more fragmented than in the past, with the consequence that grandparents are often no longer able to help with childcare as their offspring live too far away. This same fact also means that it is harder for children to help their ageing parents, meaning that the state steps in at both ends of the scale to provide childcare and 'social care', both of which are incredibly expensive, despite the fact that the majority of people who work in both sectors are paid miserably low wages. Where does all the money go? Grim reading but no surprises......More Muslims concentrated in 'select' areas = more Muslim councillers = more Muslim MP's pushing their own Sharia agenda. Our own toadying, vote-catching politicians will only realise when it is too late but they do'nt have to live next to them. They are told who to vote for and it's not 'Whitey' and i do'nt mean Galloway. They do not bank with us, they do not shop with us, they do not socialise with us. Makes you wonder why they want to live here really? They do not want to learn the language but know how to claim every benefit that exists because they have legal advisers in the mosques. If this is Treasure Island, who would be their equivalent of Long John Silver? All of the above,as Road_hog says. Also, unbelievably, the idiots in charge decided to send our 'orphaned' children to Australia, whilst importing West Indians to our post war shores. This link should be good reading for 'sybarite123'. Many thanks mate! Thanks for the link. I'll take a look. When is this new party going to be launched? Of course,I appreciate the need for a lot of preparation work so that fundamental mistakes of the past are not repeated but time is running short and I am growing increasingly afraid for this country's future. There are at least two new parties which have been set-up in the last few weeks one of which at least as regards some of its social policies will unfortunately attract the fringe element which has so wrecked previous attempts at creating a credible and electable party. I appreciate both your impatience and apprehension and am aware of what is happening with the other two parties, but my only concern with respect to them is that some people may be diverted into supporting what will certainly be two abortive ventures. They are going about things in completely the wrong way, and I have made my thinking clear on this matter. Then again, this divergence in outlook may arise from the fact that what lies in my political bones could be a rather different marrow to that which lies in theirs. Yes, I see it as central that we must bring an end to mass immigration, multiculturalism and Islamisation; we must leave the EU, promote national sovereignty through prioritising the national interest over the interests of transnational corporations and transnational agencies of governance, but I am not interested in ‘restoring’ our military capability to inflated levels, creating a minarchist state or interfering in people’s personal lives or promoting religion of any sort. This will all become clearer in the pre-Christmas post – Party Progress Part II – after which I’ll be taking a break from blogging until early in the New Year. The success or otherwise of what we launch will be dependent upon the support of readers, and if that support is not forthcoming, we will in all likelihood succeed in nothing more than producing another damp squib. Thus far, people have been reticent about lending practical support, perhaps because of apprehensions regarding the party’s intended policy platform, so our next steps will of course be dependent upon the feedback that we receive. Time is short, but Part II will be posted before the week is out. Will Bradford become relatively Muslim majority at around 35% Muslims by next census around? Cameron pushing for intervention in Syria? Islam and Youth Offenders: is there a link?